Secluded 1950's character 'fishing bach' nestled in magnificent native bush, opposite the Whangaroa Arm of pristine Lake Rotoma. 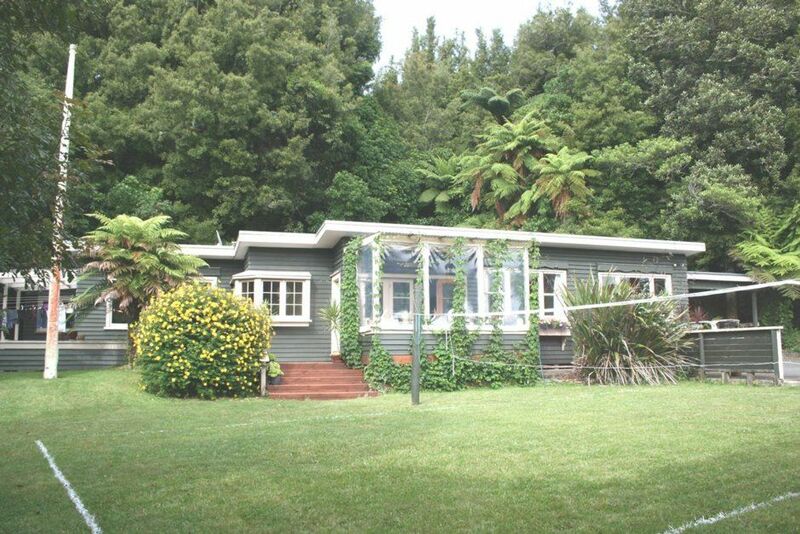 The house is situated on an historical site - once the coach stop between Rotorua and Whakatane at the turn of the century, so stories and relics abound. Enjoy private bush walks starting behind the house, or walk the 20 minute 'Bridle Trail' to the famous and therapeutic Waitangi 'Soda Spring' hot pools. Across the road a short track leads to the lake - perfect for kayaks and smaller boats. House has a flat front lawn dedicated to a full size badminton/volleyball court. The rear of the house is nestled in native bush and offers a raised fire-pit for a magical atmosphere in the evenings. Form teams and enjoy the giant chess set. Handy to all local attractions including shop, cafe, playground, boat ramp, artists' studios and the magnificent safe and sandy swimming beaches of pristine Lake Rotoma. Comfortable character homestead with bush walks, handy to the lake and all local attractions. This is a beautiful place to stay. The house is awesome. It is beautifully decorated with nice pieces of art and curious things around. Location is great close to lake and hot pools. Owner/manager is super helpful. We will be back. I cannot find a single bad thing about this place....simply because there is none. Polite and punctual hosts very accommodating and willing to oblige. Thank you so much for the stay...highly recommended and soothing to the soul. The house was comfortable and relaxed with plenty of space. The kitchen and laundry were well equipped for our ten day stay. The lake was close for a walk or a kayak and the area a 30 minute drive from the tourist attractions we visited. House was a perfect base for us exploring the lakes.